EUSC are a friendly, welcoming club with a positive presence on campus. We are committed to providing a professional, fun and enriching environment to all of our members. We offer coaching for all levels of swimming and enjoy a strong presence at BUCS competitions. 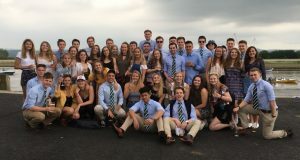 We maintain a strong working relationship with the Athletic Union; who oversee the development of sport at the university, and also with the local Swimming Club – Exeter City. 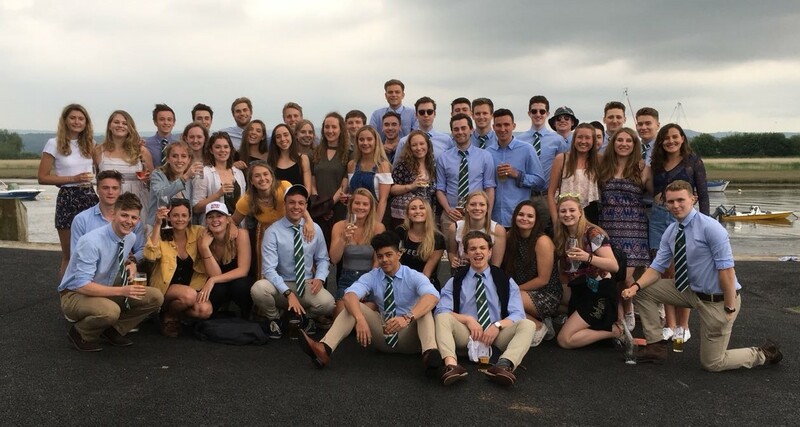 Our goal at EUSC is to provide each of our members with the opportunity to diversify their time at University outside of their studies and enjoy the experiences that being part of a University sports team has to offer. We offer 8 training sessions a week in terms 1&2: including a land based circuits session, a session for those looking to improve their technique, and a session focusing on competing per week. For 1 session a week our specialist coach is present to provide feedback on technique and there will be an opportunity for some underwater video analysis, we are currently in the process of getting a new coach who will be present at additional sessions to provide advice and assistance to our swimmers. Our social secs organise weekly socials giving all members the opportunity to get to know each other outside of the pool. All of this for just £100 (all three terms included) and that’s it! For those looking to compete, we enter 3 major competitions a year (BUCS short course, BUCS Long Course and BUCS Team Championships) We also have an annual training camp in Cardiff in the run up to BUCS long course in January. Everyone part of the club has the chance to represent us in a competition. Either internationally, with a trip to Germany including the infamous after-party. Or closer to home, in our annual charity varsity against local universities such as Bath, Bristol and the Penryn Campus Swimming Club. This is once again followed by an awesome after party. Last year we raised in excess of £1,332 for Hannah’s Trees. 1/2 sessions with our specialist coach including video analysis each term. Discounted products from out sponsors. 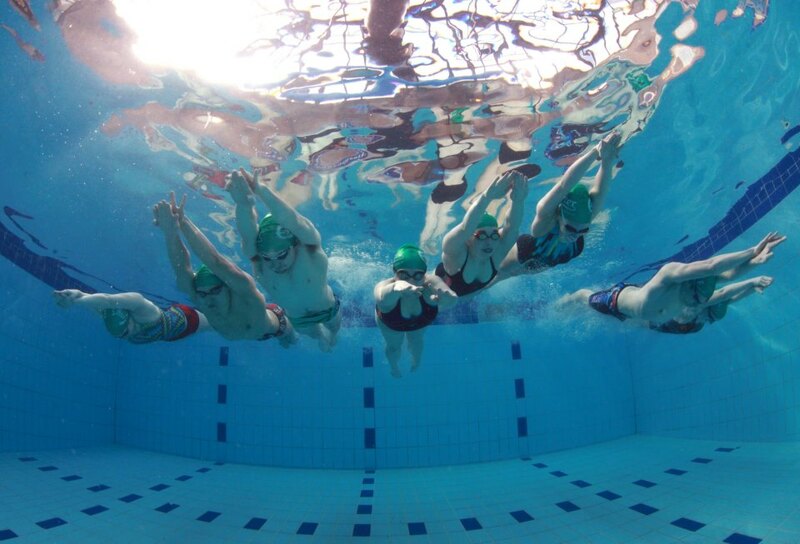 Sessions in both the heated outdoor pool at Cornwall house and St Lukes pool. FREE swimming cap, newly designed for this year! Join the mighty Spermwhales for a weekly spot of football or netball and compete against other teams from across the university in terms 1 and 2. In term 3 intramural rounders will be available. All for free as part of your membership. A chauffeur (Well committee member…) driven minibus to and from Sheffield. Known for its infamous after-party and an interesting take on a relay, this is not an event you’ll want to miss! Now in it’s 13th year, Varsity is infamous for being one of the most enjoyable days of the year, all in aid of some incredible charities. Last year we raised an impressive £1332 for Hannah’s Trees, a charity close to our hearts. Including (but definitely not limited to) the excellent: Christmas dinner, End of season dinner, Bowling and Oh Exeter We Love You (Basically just running round Exeter doing challenges). Several opportunities in term 1 and term 2 to attend long course training sessions at the Kelly College 50m Pool in Tavistock. Transport will be provided and places will be on a first come basis. *Must be selected for the BUCS team and pay the additional cost – usually around £35 per trip. **First come first serve at an additional cost of around £100 – It’s amazing so well worth it! You can sign up at the Freshers’ Fair on Saturday 22nd September or if you cannot make this date simply turn up to any session with your payment ready, either by an online transfer via Fixr or cash (exact change only please). Please also let a member of committee know which session you’re going to attend so we can have a registration form ready. You can do this through the contact page or by sending us a message through our Facebook page.